It’s September, so its time for another Chanel Price Increase Report. And geez, it’s like this ‘Price Increase Thing’ is happening every few months instead of twice a year. 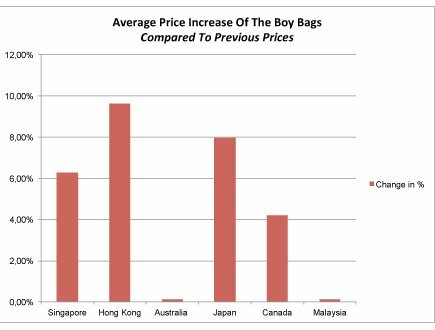 READ: Chanel Price Increase Report Sept 2017 – The Boy Bags Have Increased Too. As a reminder, the last time we published about major price changes was in May 2017. Chanel handbags in euro countries suddenly became 5% more expensive overnight. And we all know that Europe is our favorite place to shop, especially when it comes to hunting Classic handbags. The new policy effect on the Boy Bags was even worst; they went up by 7%. So it was a tough day for those that wanted to chase their dream bag. Then in August 2017, we published another report. 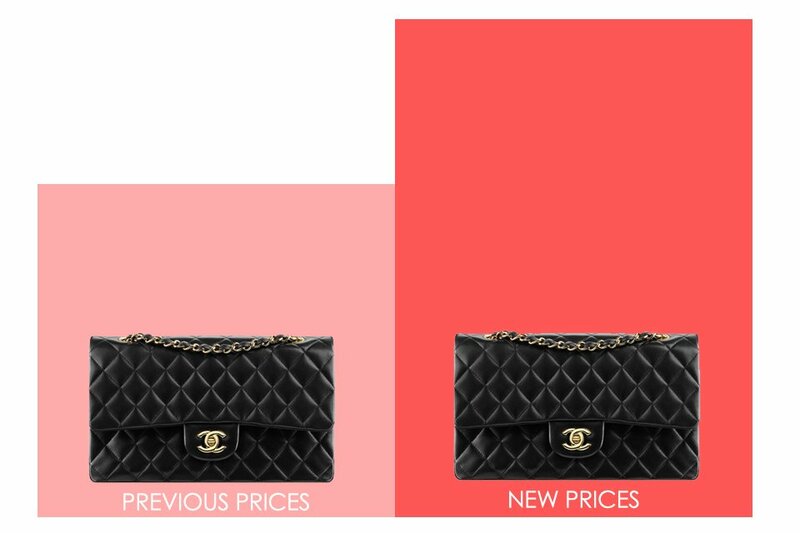 This price report was less shocking, but it proofs that Chanel prices shift constantly. In that month, we found out that the prices of the Coco Handle Bag, the Business Affinity Bag and other Classics like the Trendy CC WOC went up varying from 9% to 17%. For the WOC’s, the UK was hit the hardest, for example the Golden Class Double CC Wallet On Chain was increased by 17.75% compared to the previous price. And now there is another price increase. This new price increase is affecting most of the Asian countries. Let’s cover them all, step-by-step. Read on. Which Asian Countries Have Increased In Prices? Just to make one thing clear: the prices in euro countries, in the UK and in United States have not been increased. Our latest research shows that almost all Asian countries have increased in prices except for Malaysia. We have some good news too because not ‘all type of handbags’ went up in prices. However, a few bags have increased in prices two times in less than two months. Now let’s move on to the next question is: ‘Which handbags were affected by this new price policy?’. Which handbags have been affected? In the price report of May, we showed that the prices of the iconic handbags were mostly affected. And today, we will be telling the same story – only the prices of the classic handbags have been increased. Another good news is that the prices of the Boy Bags have remained in tact, which means that they haven’t increased at all (for as far as we know now, if you have more info, please share more details in the comment section). But all other Classic Bags including the mini accessories went up in prices. And what about the seasonal bags? Great question! The seasonal handbags haven’t been affected as well. We have also checked the prices of the upcoming classics like the Coco Handle Bag, Trendy CC Bag, the Business Affinity Bag, The Large Timeless Bag and the Gabrielle Bag. All of these prices were the same as before. Now let’s move on to cover the new prices of Hong Kong, Singapore, Australia, Japan and China. We will also compare the new prices with the old prices, so that you know how much they have changed. The price of the Small Classic Flap Bag went down by 0.29% – not really exciting. The other Classic Bags increased by 7%+, which is a big deal given the previous high prices. 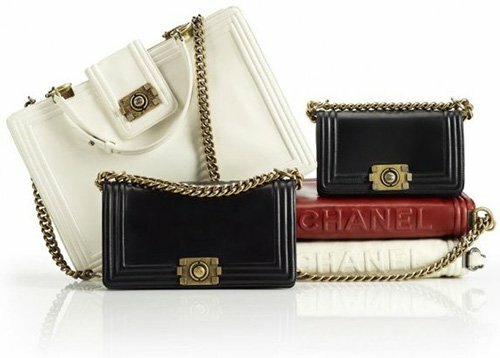 It’s very surprising to see that Chanel has increased the price of the Small Classic Flap Bag. We thought that they wanted to promote the smallest size by decreasing the prices (as we’ve previously seen in the May and the August Price Report). Only the price of the Small Classic Flap Bag has been changed. The M/L size, jumbo and the Maxi bag prices have remained the same. The price of the Small Classic Flap Bag went DOWN by 7.34%, which is another proof that Chanel wants to push the sales of this size. If you are still saving money to buy your very own Classic Flap Bag, perhaps the smallest size is now within your range. Besides the Small Classic Flap Bag, some prices of the Classic Wallets have been increased too. If you want to know the latest prices, you will have to go the Chanel Classic Wallet Prices Page. How About The Classic Wallet Prices? Unfortunately, the Classic Wallet Prices have increased as well in all Asian countries mentioned above except for Malaysia. The prices in Australia only went up for the Small Flap Wallet and the L-Yen Wallet by 2 to 3.5 percent. Singapore has been hit the hardest, the prices of the Classic Wallet have increased between 4.55 to 10.71 percent. The L-Flap Wallet for example went up from $7300 SGD to $8000 SGD. Hong Kong has been hit very hard too; the prices of the wallets went up between 8 to 9.59 percent, depending on which wallet. To check out the latest prices of the Classic Wallet via this page. The prices of the WOC’s have increased as well, but not all WOC’s, only the Classic Quilted and the Trendy CC WOC. The price of the Trendy WOC went up twice in two months. You see? Before Augustus 2017, the price for the Trendy CC WOC was $18900 HKD. It went up to $19800 HKD in Augustus 2017, then a month later (this month), the new price is $20900 HKD. For the WOCs, Japan has experienced the steepest price increase of 19.23% for the Classic Quilted WOC. In Hong Kong the same bag has been increased by 9.59% as the second highest, the current price is $16000 HKD. For the latest WOC prices, we recommend going to this page. We’ve done our research as accurate as possible. If you have tips or find something new, please put them in the comment section. We will review them immediately. What’s the point of buying Chanel in Paris now if Hong Kong is cheaper? Depends on what? Sometimes seasonal bag are evenly priced. Classic bags are cheaper in Paris.